What inspired you to get into the psychological/drug induced horror niche of all things? Many things inspired me to make psychological horror. Mainly my interest in dreams and how the mind works, what really scares you and such. And what inspired me to dig into those areas I don’t know. And about drugs, I’m not really interested in it, I just wanted a good reason to why you would see hallucinations and monsters in Afraid of Monsters. 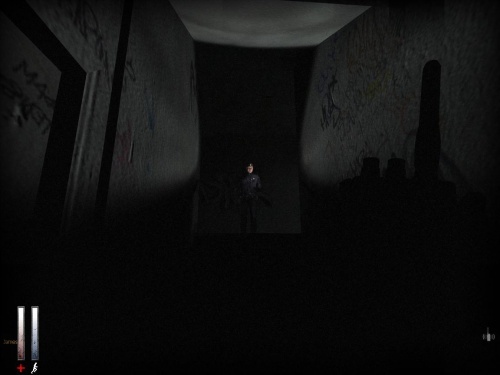 Tell us a little about Cry of Fear, what can fans expect coming out of Afraid of Monsters and into this? 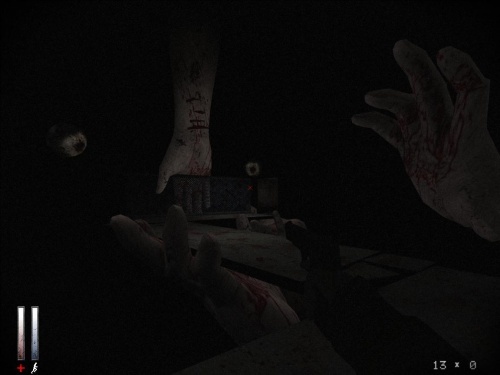 The fans can expect a lot of influences from Afraid of Monsters, such as twitching body parts, the sick nightmare areas and the use of sounds and darkness to scare the players psychologically. Cry of Fear is also using a lot of surrealism and depression, to try and make the players sink down in the story and mod, so we can find their weak points and easily scare them. When it comes to story telling, do you like to keep players guessing until the end, or do you leave clues and leads to reveal the ending? We have made it so the players will try and guess the story as the mod goes on, as we tell the story in a way where the players can play as detectvies to figure out what the story really is. Unlike Afraid of Monsters, Cry of Fear is not really revealing what the story is at the end. You will have to play it from the beginning to the end in order to figure it out. Also, I personally hate it when most developers just leave notes and such to let the players read and understand the story. So to prevent that, we have made cutscenes to tell you the story. I don’t think there will be any more projects. At least not entire single player games like Cry of Fear. It takes too long to make. So I’m afraid that Cry of Fear might be the last game we will make. But if we would make another game, it’d have to be a standalone game with modern graphics. But that is almost impossible, as we don’t have much free time anymore since most of us is working, and also because we would need a team of at least 30 people. For you, what makes a horror story engaging and worth while? What I really like about horror is the environment. I’m not really a big fan of getting scared to be honest, I just like the dark and gloomy atmosphere you see in most good horror games, like Silent Hill 2. Why my mods has become so scary, I don’t know. Maybe because I like to control people psychologically, like playing with their minds. The real reason though why I continue making horror, is because I love to create those dark environements, those big empty cities in the night. Has Modding had an affect on your personal life or do you keep it private and under the radar? I try to talk about it when I get the chance to, because modding is really a part of my life, it’s my biggest interest. Well actually, my biggest interest is to create sick and dark environments as I said, but doing it in a mod is the most easiest. However, most people are totally stupid when it comes to modding, so I mainly just talk about my ideas, but preferibly not, as they would just think I’m nuts. Any words of advice for the resurgance of this generation’s horror modders? You should take your time and plan carefully. Also, a good way to know if your mod is scary enough, is when you get scared of it yourself. If you had no technical limitation or ceiling, what would you like to add most to your mods? Big maps with huge cities, where you can just run on an endless road, or in a gigantic forest with loads of small abandoned houses in it. I don’t like it when it’s so linear with the Half-Life engine. Assuming you could go back and do it again, would you change anything about Afraid of Monsters? Yes, the name Afraid of Monsters and the name of the main character, David Leatherhoff. I’d also like to re-model some of the monsters and make new animations. But I don’t really feel it’s necessary though. What matters is a fun and scary gameplay. It has been a pleasure talking to you, Andreas! Anything you want to share with the readers in closing? Tell your friends about Cry of Fear. Don’t give a **** if it’s to Half-Life 1, graphics does’t mean ****, it’s a fun gameplay that does. 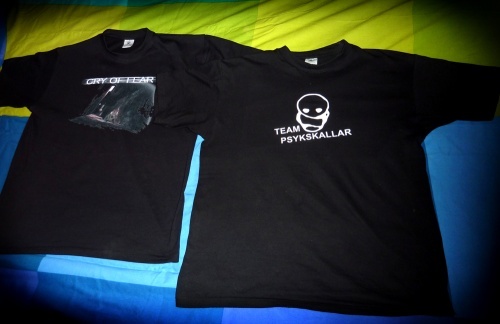 So go tell them, and preferibly buy some clothes from our store as well, to spread the words even deeper.